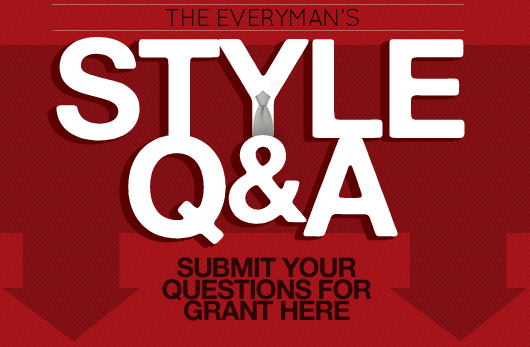 Style Q&A: Where Should I Keep the Junk in My Pockets? Every man's got stuff he has to carry. How do we do it without looking like we've got pockets full of quarters? 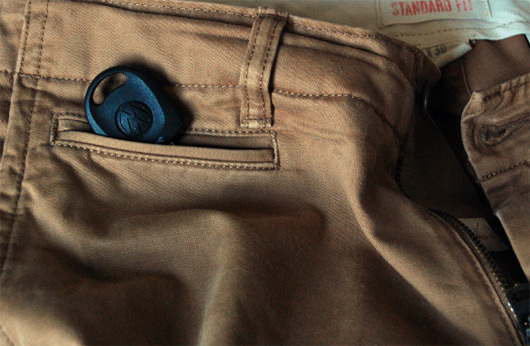 What are your thoughts on where to keep your keys and other pocket items? If I have a jacket or need to carry a bag, that makes it much easier. But wearing a jacket isn't always reasonable, nor is carrying a man purse everywhere you go. What about just being out on the town wearing a slim/straight pair of jeans that make it harder to toss something in your pocket without looking like a tumor is sprouting out of your leg? This is actually something I deal with on a daily basis. For those of us fortunate—or unfortunate—enough to own a vehicle to get us from point to point, those keys we use to start and stop can also stop, or at least hinder, our style. Until we're all able to start our cars without keys it’s going to be an issue. As you may know I’m a minimalist guy and try not to carry much in my pockets at all. However, the necessary phone, wallet, and keys are omnipresent. Bulging jeans are never attractive and even less so when wearing tailored trousers like I do most days of the week. Personally I use every way possible to not carry the keys I don’t need. Even the bulky car alarm thing-a-ma-gig gets left in the car and I just roll with the actual ignition key itself. I’ve gotten grief from more than one passenger about this practice, but it’s worked for the most part so it’s an option. The only way it wouldn’t work is if your car does not have physical key entry on your door locks which would ultimately dismantle this option. The other option is to take advantage of all the pockets trousers, pants, and jeans come with. Most denim comes in a 5 pocket model. Most men only use the big four pockets. However, there is a smaller pocket located above the right front pocket which counts as the 5th pocket. This angular pocket is built for small items such as change, Tic Tacs; tooth picks, and yes, even a key. (I’ve never used this pocket for Tic Tacs or toothpicks, but it’s entirely possible you could). Personally I use this pocket to store the one key I carry. Since jeans are not part of my regular trouser rotation this same pocket can be found in chinos and dress trousers as well although it is more streamlined and less visible. It goes by the name of a watch pocket because before wrist watches men used to tell time with a pocket watch and this is where they wore them. This is another pocket that can be used to store keys. Most watch and/or coin pockets are located on the right front hip but also can be located inside the waistband for more security and discreetness. Last but not least, many tailored trousers also come with a smaller pocket inside the larger right hip pocket. This pocket is usually big enough to hold a small cell phone, slim card case, business cards, and even keys. This pocket is hidden from view and is meant to conceal your contraband (codeword for junk) without distorting the line of your pants and giving you extra storage space. This pocket comes in handy and gets a lot of use day to day. In the end utilizing as many pockets large and small as you can and minimizing the crap you actually carry around will help. However, nothing is perfect and pockets are meant to be used, so use them. Wisely of, course. I just eliminated this problem, ha! I bought a slim sleek money clip from fossil, good for a few business cards, your license, etc… Freed up so much pocket space! So it’s usually just my cell, money clip and keys in my pockets, which I usually put in my desk drawer anyway. I have an S-shaped brass keyring I picked up from J. Crew for $10. I hang it from my back left belt loop and tuck the keys into my back pocket–keys stay to the side and aren’t uncomfortable when you sit down as long as there isn’t too much on the ring. I’ve used leather keyrings from Fossil with the same result. 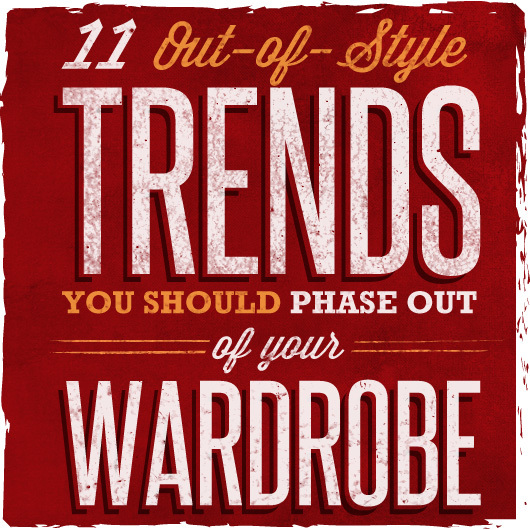 Works great for casual wear; not so much for business. There are also plenty of smaller clips available that will let keys hang in your pocket rather than bunch up at the bottom–you’ll have to live with the clip on the outside of your pocket, though. Where to buy the pants pictured on top? Part of my problem is that I’m the Prepared Dude. You know, the guy who has four tools on his keychain alone? Yeah. I’ve found that transitioning stuff to your beltline can help- your cell, for instance. Pens can go in shirt pockets. Use all your pockets. The concept of carrying as little as the author is simply not feasible for some of us. No way will I leave any keys behind, especially while out, & I travel nowhere without a knife. I wanna buy this tactical pants for myself. Are they available at some retail shops in USA?.